Western Canada has a special place in my heart. I first got to experience it back in 2011 when I visited Vancouver, and again in 2014 when I travelled to Alberta to visit my cousin and her husband who had recently moved to Edmonton from Ontario (catch a glimpse from that trip here). 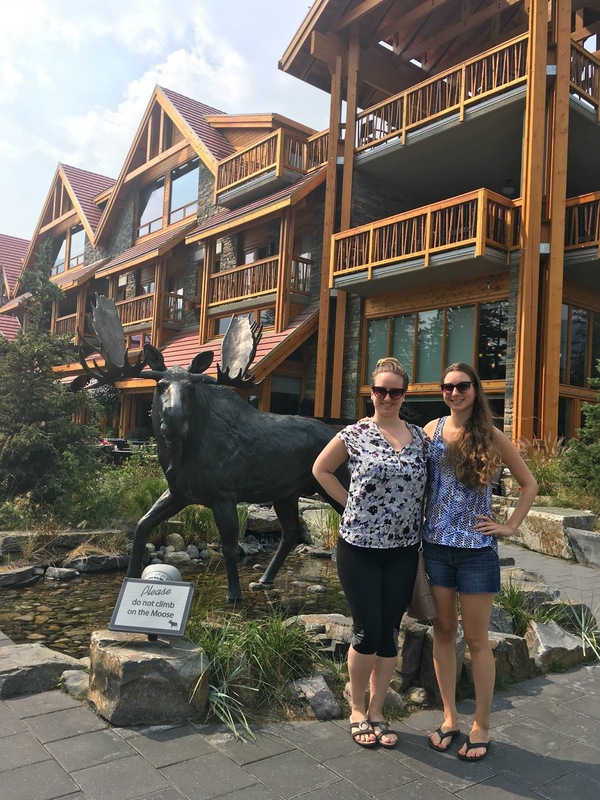 My sister and I wanted to visit them again this year, so we booked a week off in mid-August so that we could make our way out west again. I've been documenting my travels on the blog these past couples of years (Greece two years ago and Italy last September), so I thought it would be fun to put a post and video together for Alberta this year since I did not write a detailed post the first time around. In true tourist spirit, I lugged my DSLR and phone around everywhere we went to capture the beauty around me. We landed in Edmonton on Wednesday and spent the rest of the day at their country house that first night and had Indian food from Tandoori Fuzion in St Albert for dinner. I went for Chana Masala with rice and vegan naan bread and it was exquisite. I've only had Indian a handful of times but have yet to be disappointed! The very next morning we woke up early to begin our road trip to Banff. 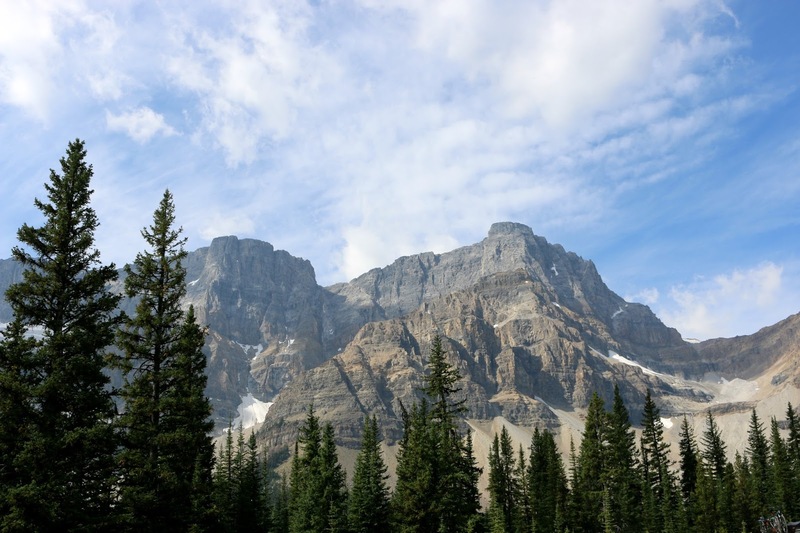 We had been there the last time we visited, and we had also hiked Tunnel Mountain and camped at Two Jacks Lakeside Campground in Banff National Park. 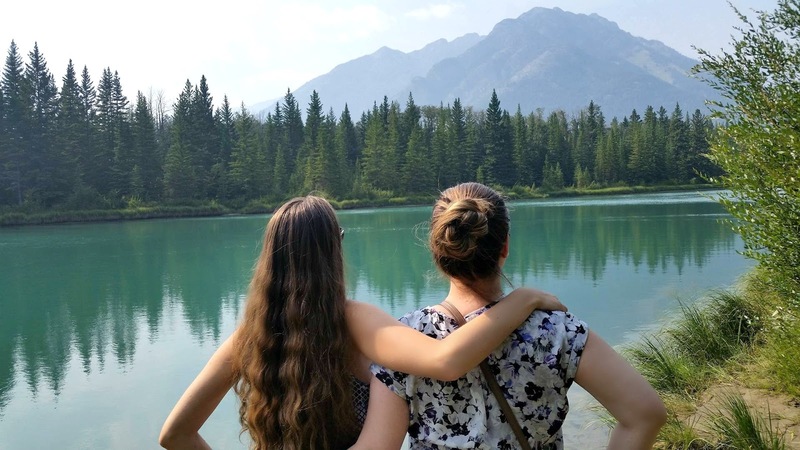 We saved our camping portion of the trip for the weekend in Jasper National Park this time around (more on that below)! 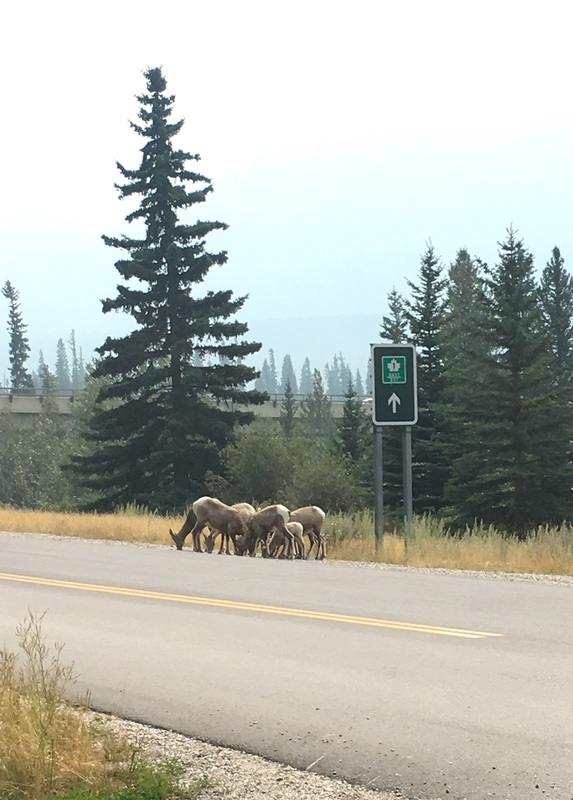 We made our way down to the town of Banff on Thursday, and arrived feeling quite hungry after a 4+ hour drive. We decided on pasta at Pacini for lunch, located on Banff Ave. If you are having a hard time spotting it, the giant moose right in front is a good indicator that you have made it (see below)! I went for the Italian salad as an entrée and Penne Arrabbiata as a main dish, which were both delicious. 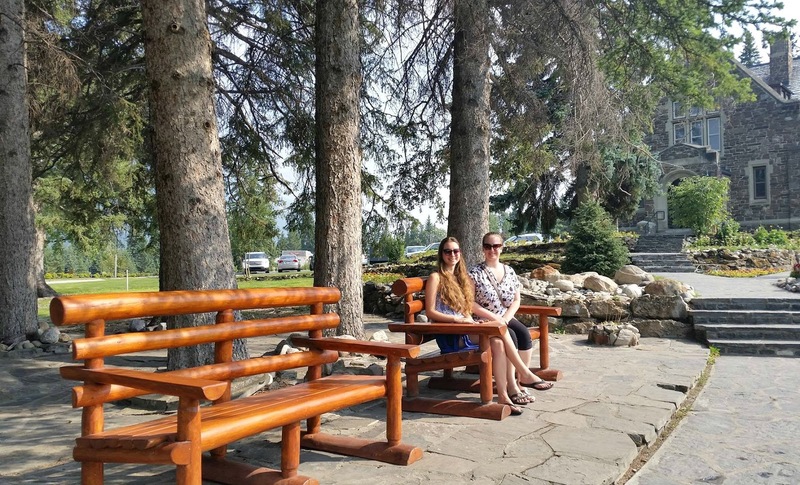 We then walked by Bow River after dropping our bags at the Homestead Inn which is located right downtown and made our way to the Cascade Gardens which have a gorgeous view of the mountains overlooking the town. 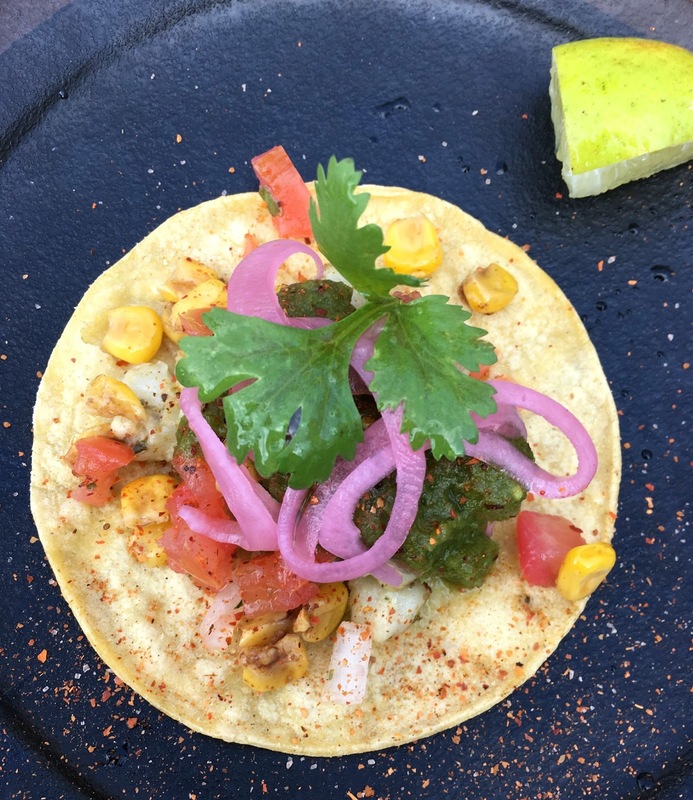 The last time we visited, we went for lunch at Magpie & Stump on Caribou St, a taco eatery and tequila drinkery. We came across the restaurant again, and since it was such a nice sunny summer day, we wanted to see if they had an outside sitting area. 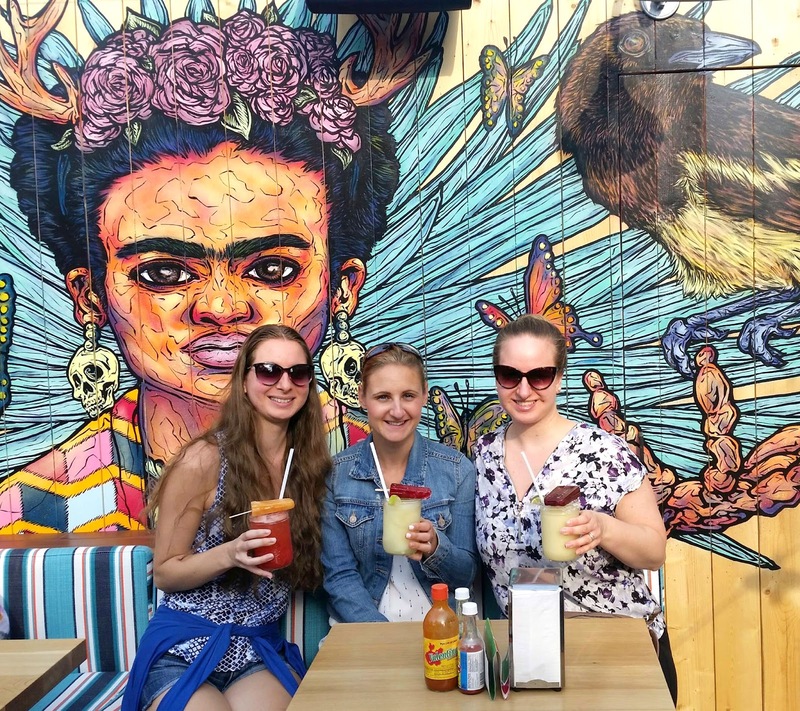 Well we got lucky as they had just recently opened El Patio, aka their colourful rooftop patio which features beautiful wall art and a laid back atmosphere with latin music. We decided on margaritas and palettas (Mexican ice pops) to cool down, and since we were starting to get hungry again, got some tacos too (I went for the veggie ones!). 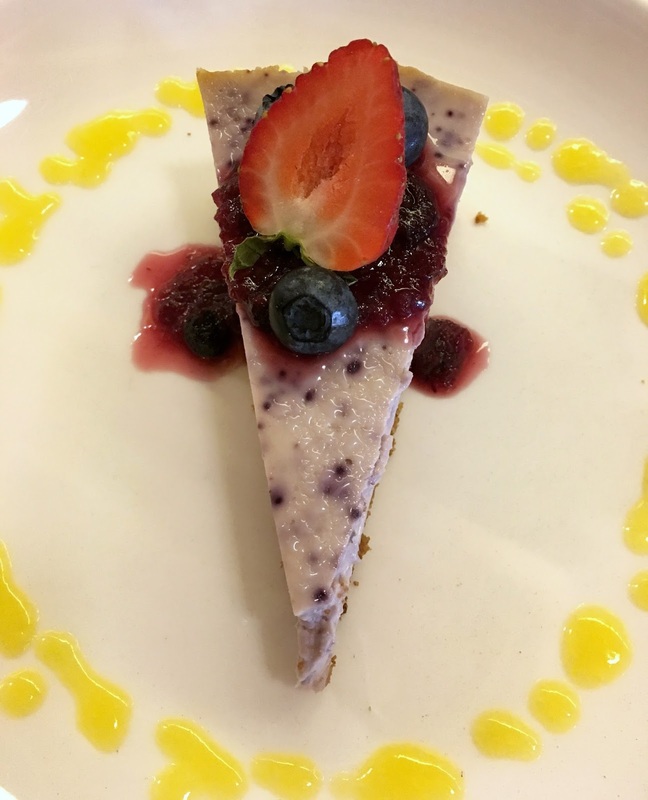 After some sipping and chilling, we made our way to Nourish Bistro, a vegetarian restaurant on Bear St. Since I had a heavier lunch, I went for a lighter dish and got the Kale Caesar. Trust me when I say that this salad is huge, I could not even finish it! I had never had a kale only salad before and was pleasantly surprised by how good it was: red and green massaged kale, fresh lemon and house made caesar dressing topped with coconut bacon bits, roasted chickpea croutons and cashew cheese. My mouth is watering simply at the thought of it! The next morning we woke up early for another 4 hours of travelling through the mountains toward Jasper. We had a filling breakfast at Melissa's Missteak, where I had a bagel and fruit salad. 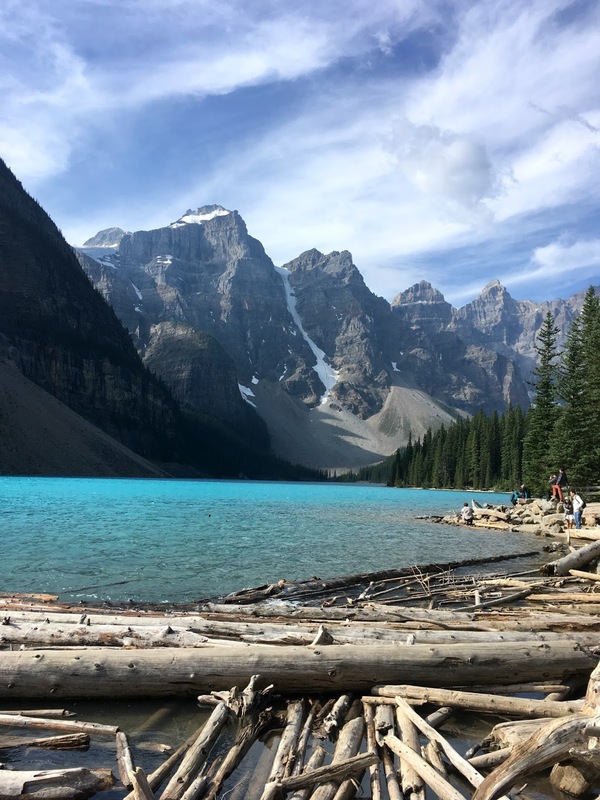 Before leaving, our waiter asked what we were up to for the day, and after letting him know we were planning on making a few stops at Lake Louise and Moraine Lake on our way to our campsite in Jasper, he suggested we also visit Peyto Lake which was also on our way. He said it was his favourite lake, and we were convinced! 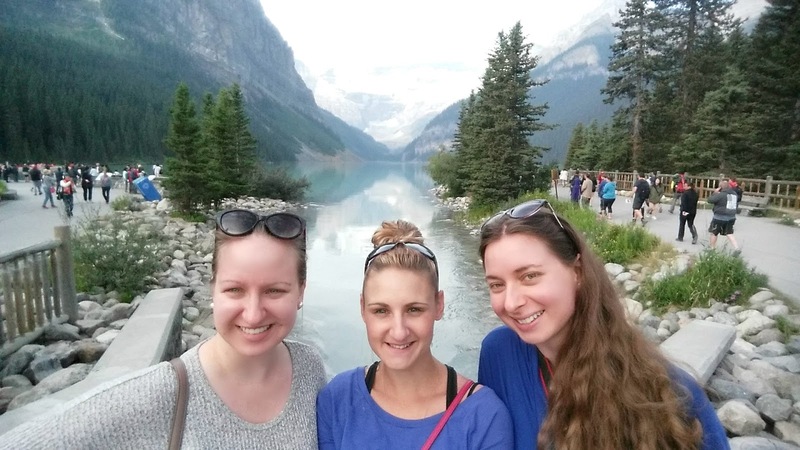 We had been to Lake Louise during our first visit, and were excited to go again. The early morning was quite chilly so we did not stay too long, and got to see it before it got too crowded. 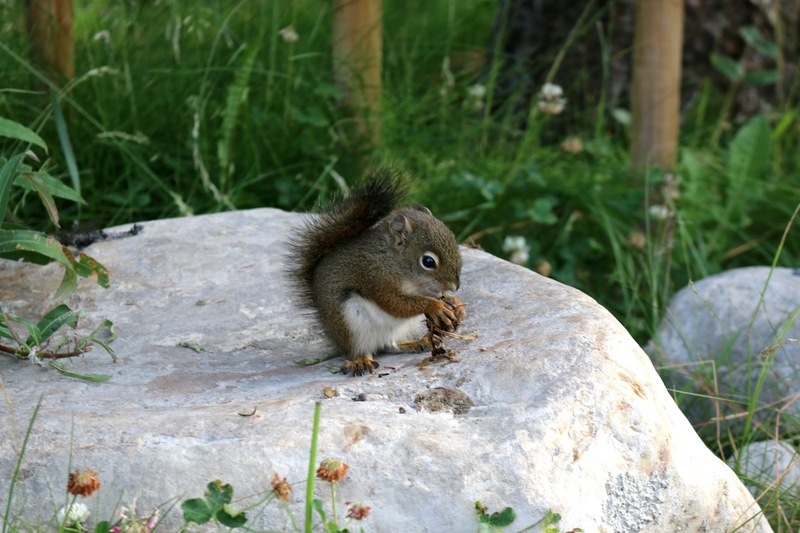 We did not have too many wildlife encounters, but spotted this baby squirrel and I just had to snap a picture. We also came across mountain goats on the side of the road (have a closer look at them at the beginning of the video! On our way to Lake Louise we saw that the road to Moraine Lake was closed, and we were sad that we could not see it as we had not yet been. 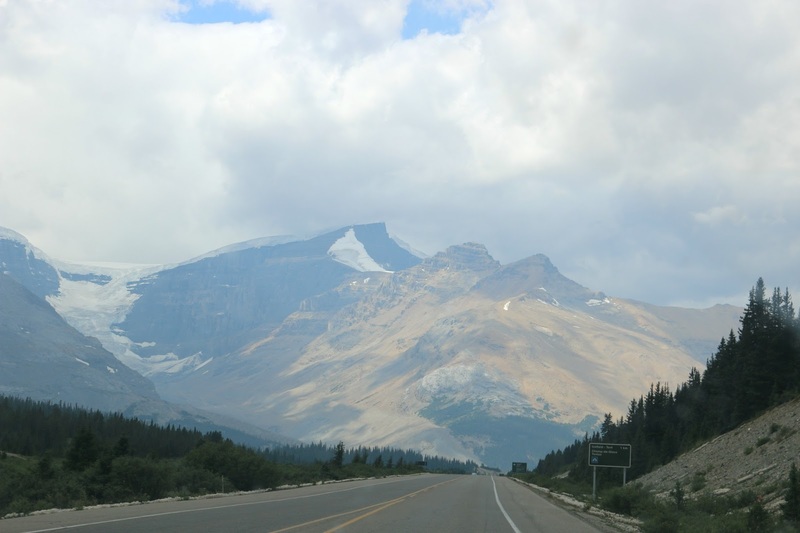 Heading back from Lake Louise, we saw that they had reopened the road for a limited number of cars, so it was our lucky day! It was very windy but we made the best of it, snapping pictures of the picturesque views and breathing in that fresh mountain air. 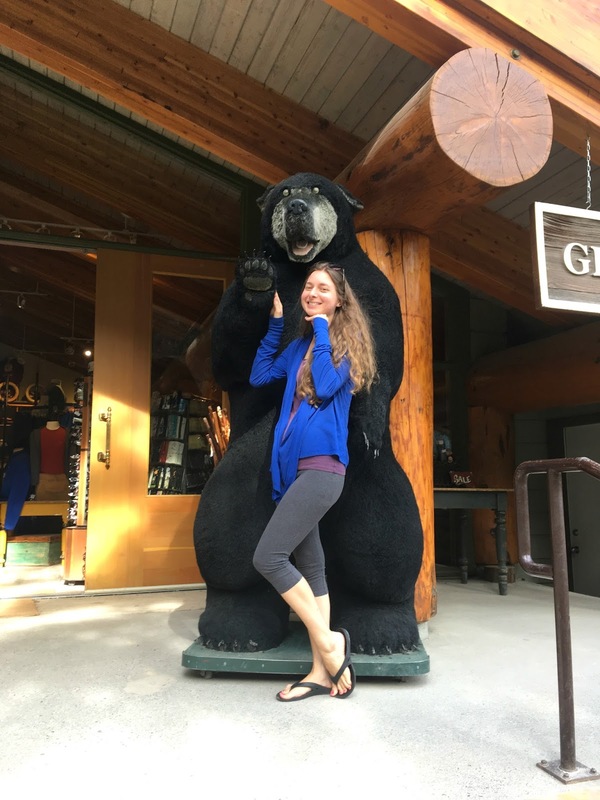 Below is the closest encounter I had with a black bear, and I must say he was quite friendly! 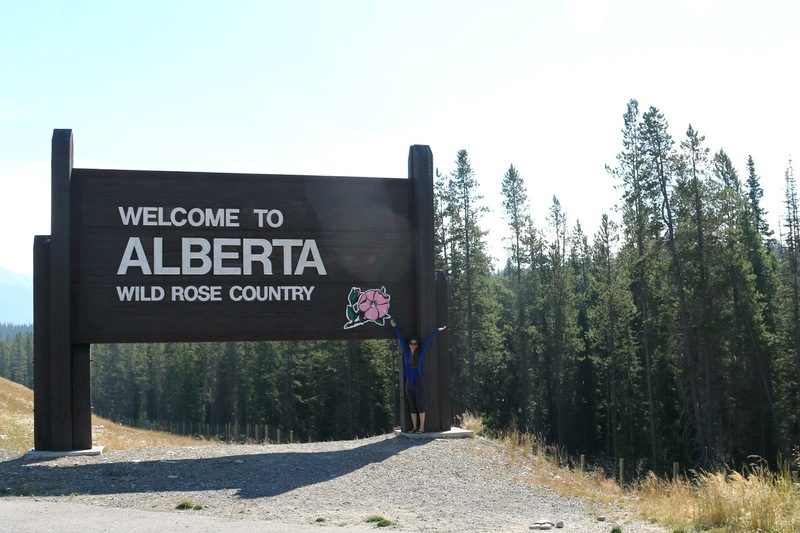 Of course I had to take a picture with the Welcome to Alberta sign too! 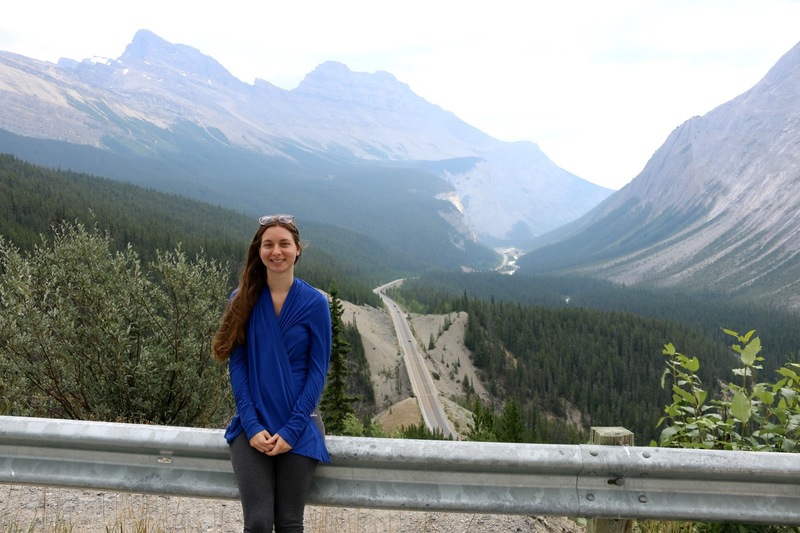 On our way to Peyto Lake, we got to ooh and aah at many more beautiful mountain views and blue lakes. 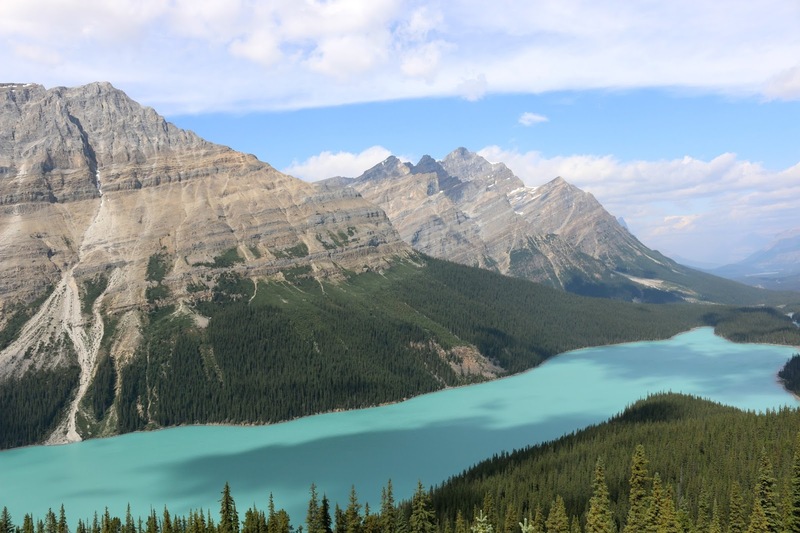 Peyto Lake took my breath away, with its pristine blue water surrounded by rocky mountains. We came to this dreamy lookout point after a short 10-minute trail hike. I just couldn't believe my eyes, nature never ceases to amaze me! The drive from Banff to Jasper is the most scenic one I have ever been on. Driving on winding roads through the moutains, I had to pinch myself multiple times to take it all in. See the highway below? That is the one we were on, and after a bend in the road and gaining further elevation, we just had to make a stop to capture the beauty of our surroundings! 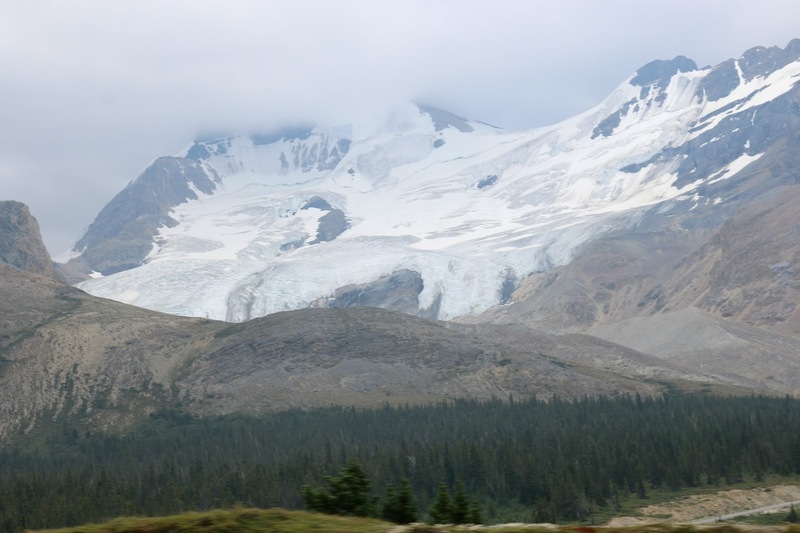 Our scenic drive on highway 93 led us through the Columbia Icefield, the largest one in the Rocky Mountains. Seen here is the Athabasca Glacier, one of its six 'toes' and which was formed during the Great Glaciation period (238,000 to 126,000 BC). It is the most visited glacier in North America and you can even go on an ice walk or ice explorer bus tour and get to stand on this wondrous block of ice all while learning about its history! 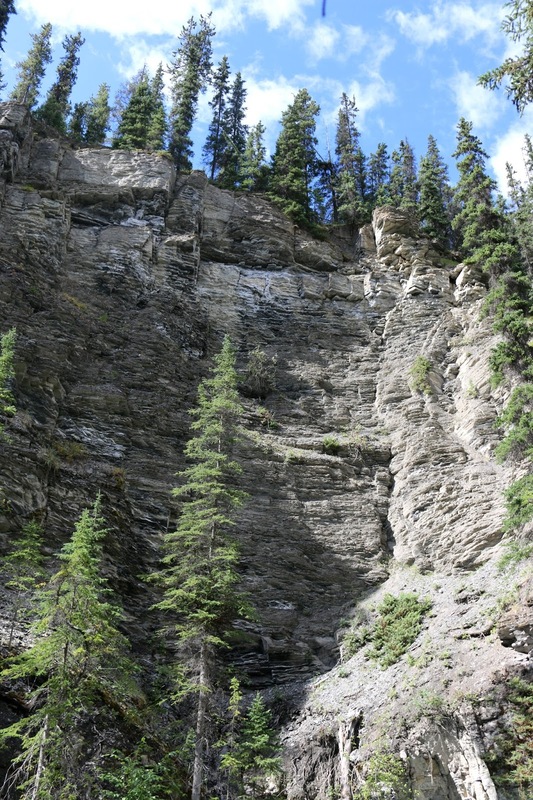 Sadly it is quickly receding at a rate of five meters per year and is half as big as it was 125 years ago. We arrived in Jasper at Wabasso Campground and set up our tents in pouring rain, but it was a fun experience nonetheless as we came prepared with extra tarps to keep us dry. The two nights we stayed were quite chilly, nearing five degrees celsius, so we made sure to bring lots of layers. There was also a fire ban due to the wildfires happening nearby in British Columbia, so we entertained ourselves by playing Scattergories, Taboo and Cards Against Humanity in candlelight. We had carrot dogs (Thug Kitchen recipe) and beans on the grill for dinner and pancakes for breakfast as well as lots of snacks! 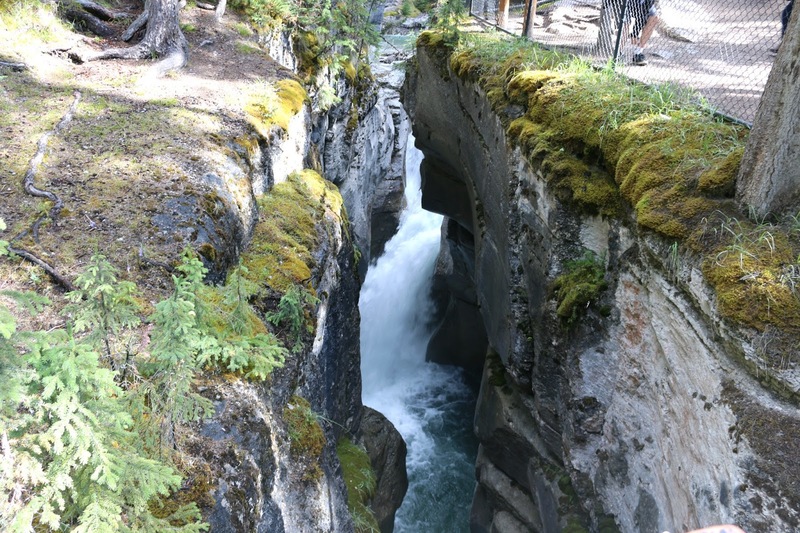 On our second day in Jasper we went on a two hour hike through Maligne Canyon, which was a short drive away from our campground. I had previously been to the Grand Canyon in Arizona, so it was really neat to see the contrast between a desert canyon and a river canyon. There was a total of six pedestrian bridges on our hike, allowing us to marvel at the gorge that has been cut by multiple waterfalls and crystal clear pools. It was the perfect day for a hike as it was on the cooler side in the upper teens. 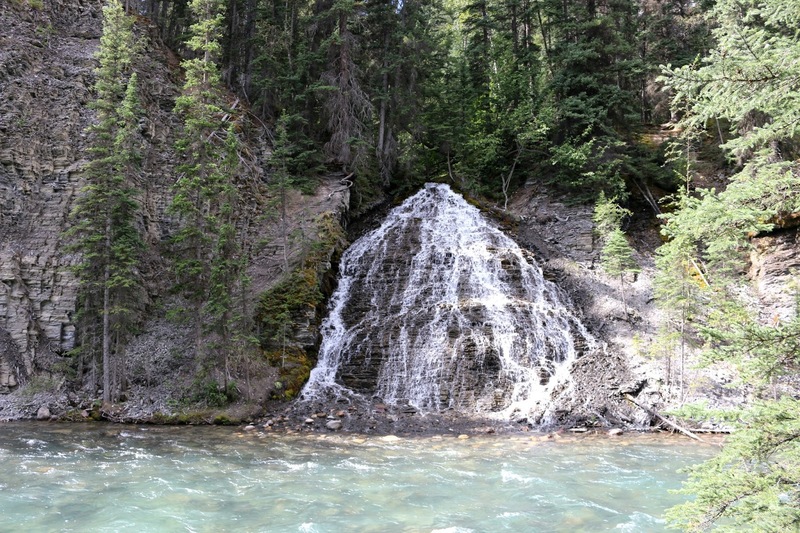 The rushing water has paved its ways through the mountains in quite peculiar ways, such as this pyramid shaped waterfall above, which you can also see in action in the video! 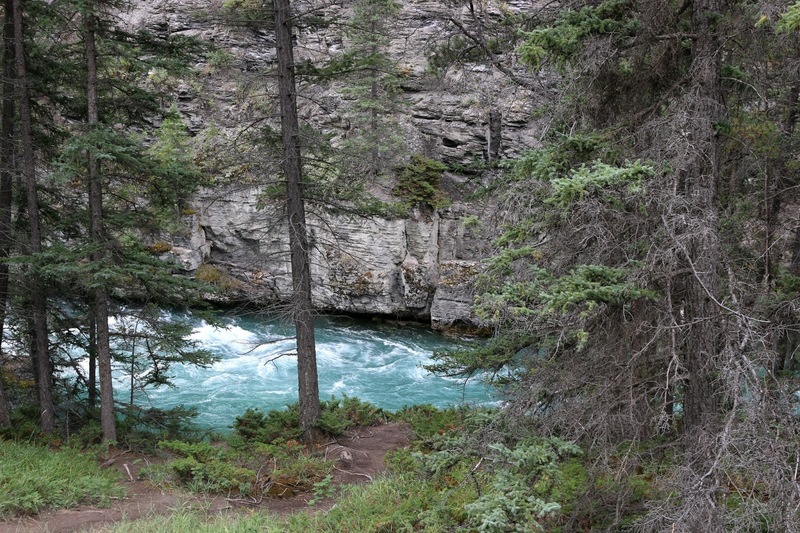 Everywhere we turned, we were welcomed by blue water, rocky slopes and tall vegetation. After our hike, we drove to the town of Jasper and stopped at Coco's Cafe on Patricia St for lunch. They had a lot of vegan-friendly options, and I went for the 'teriyaki chicken' wrap which was really good and filling! 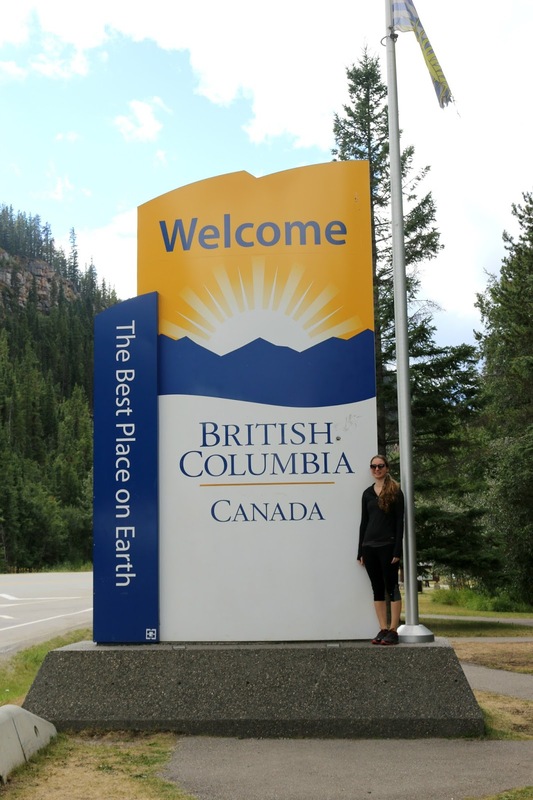 As we were so close to BC, we made our way to the border and I got to pose like a true tourist with the Welcome to British Columbia sign in Mount Robson Provincial Park at Yellowhead Pass. I had been to the province when visiting Vancouver six years ago and have craved to go back since, so my wish became reality! 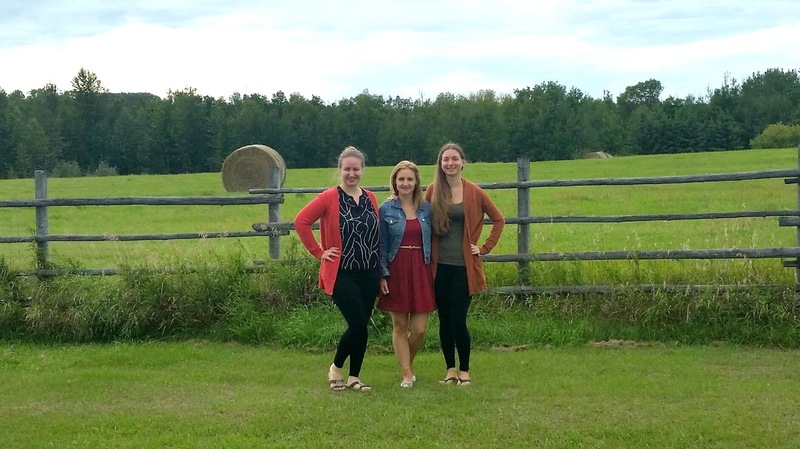 After another 4+ hour drive back to Edmonton, we were quite ravenous so we freshened up, took a picture out on my cousin and her husband's property, hay bales in the distance and made our way to Padmanadi, an all vegan restaurant that they both highly recommended. Now, I've tried a lot of vegan restaurants since making the switch over three years ago, and this is definitely one of the best places I've eaten at. We ordered a few plates and shared, from fried spring rolls to general tao, shrimp, chicken and lots of rice (and yes it was all vegan!). 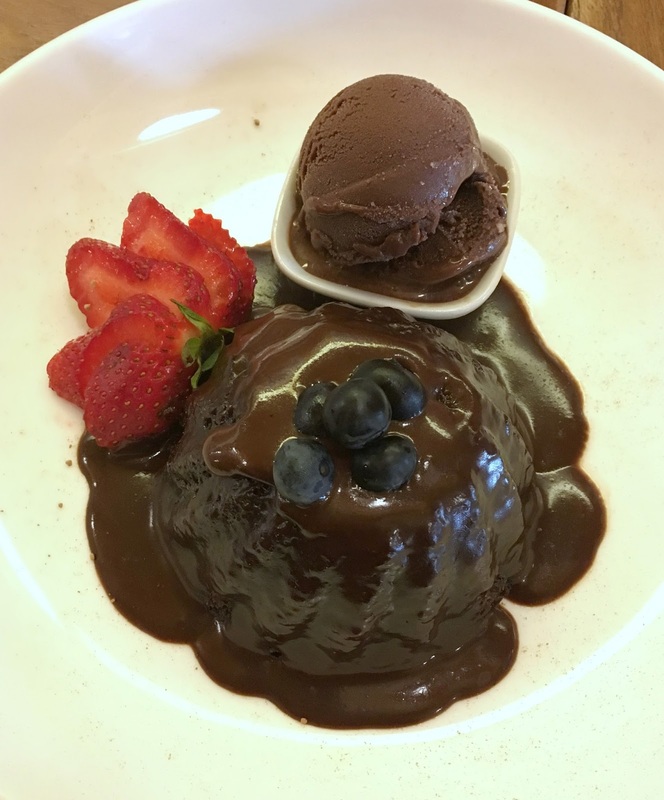 For dessert we shared chocolate lava cake and blueberry cheesecake. They were as good as they look! 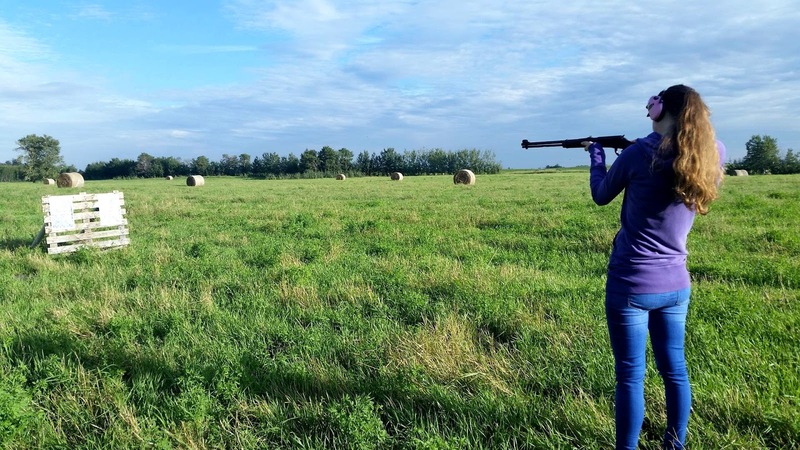 Once we got back to their place, we went outside and had some fun shooting targets and beer cans off a fence in their field! I've never held a rifle or gun in my life, so it was quite exhilarating to say the least. Mind you, I pretty much sucked at it, but I still managed to hit some targets a handful of times. 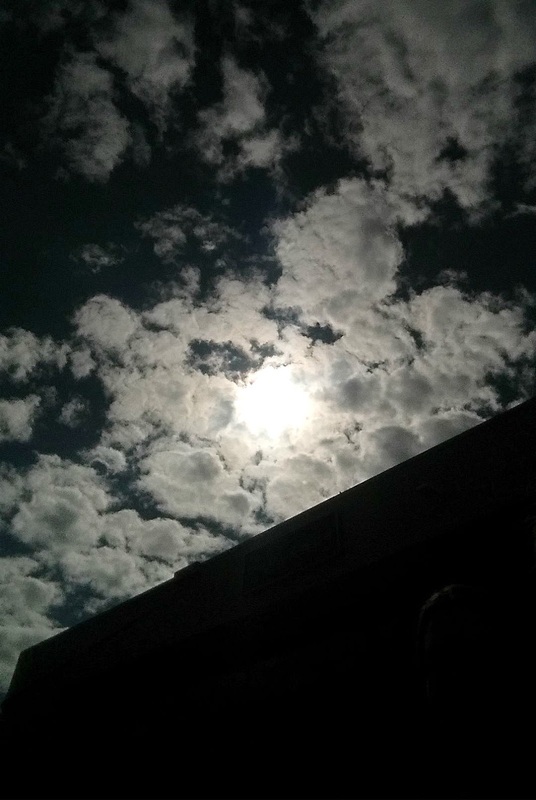 On our last day in Edmonton, we got to witness the partial eclipse right before noon before heading into the West Edmonton Mall for a bit of shopping! 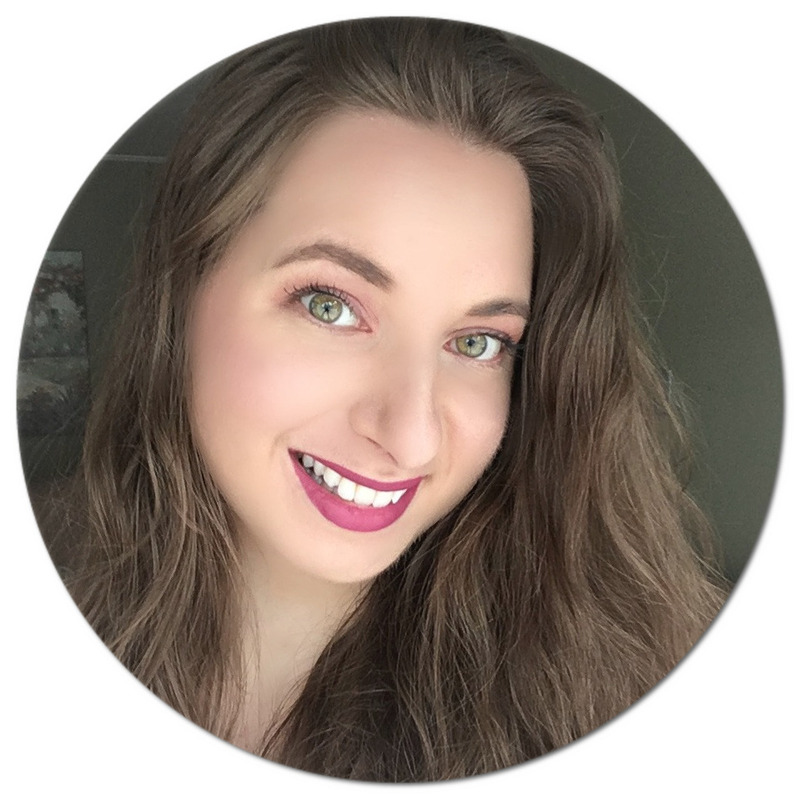 My cousin was super sweet and got me booked in for a custom one hour facial treatment at Kolya Naturals and it was super relaxing - I left with the most glowing skin pampered with products from Tata Harper, Eminence, May Lindstrom, Living Libations and Dr. Hauschka! And that concludes my trip to Alberta! I had a wonderful time and am already looking forward to my next visit. 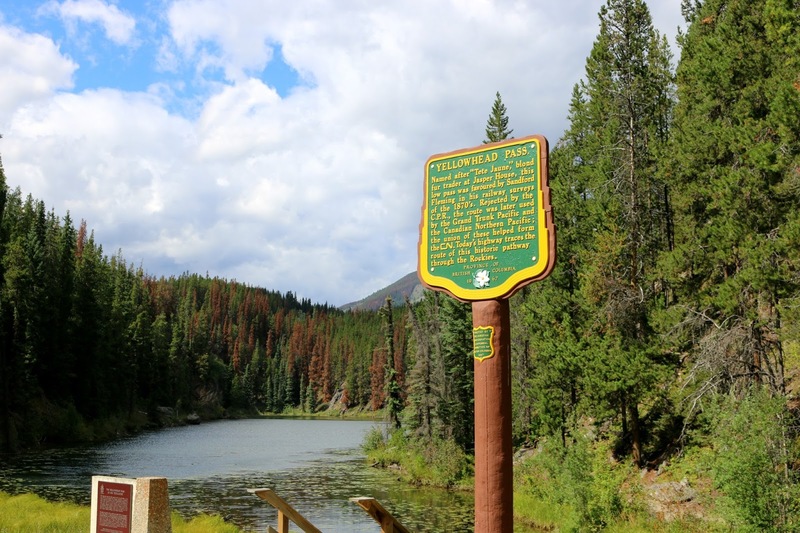 Have you been to Alberta? If you have ever thought of visiting, I promise you it will not disappoint! That looks like a beautiful trip! 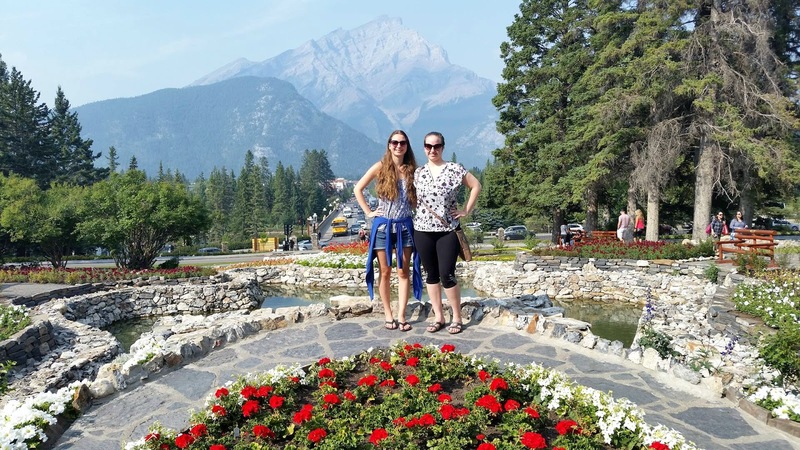 I have been to Banff and LOVED it! I would love to take a trip like this again and follow what you just did! 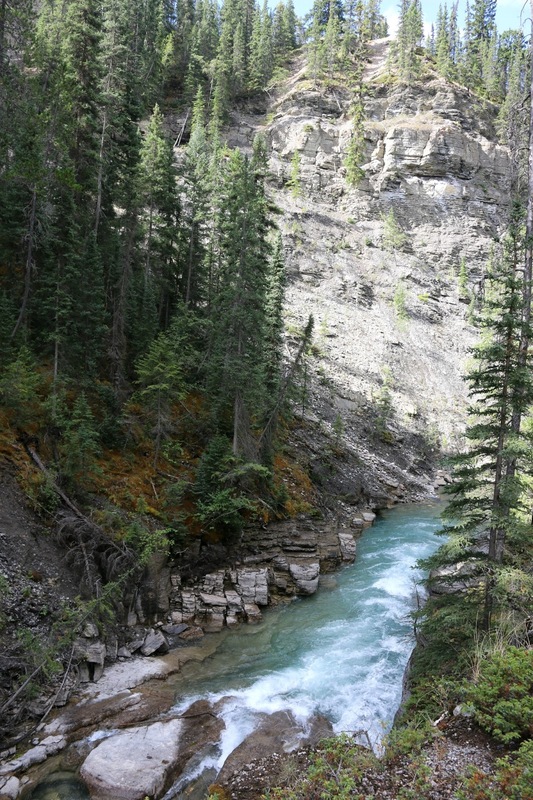 I have never been to Canada, but the photos are breathtaking! 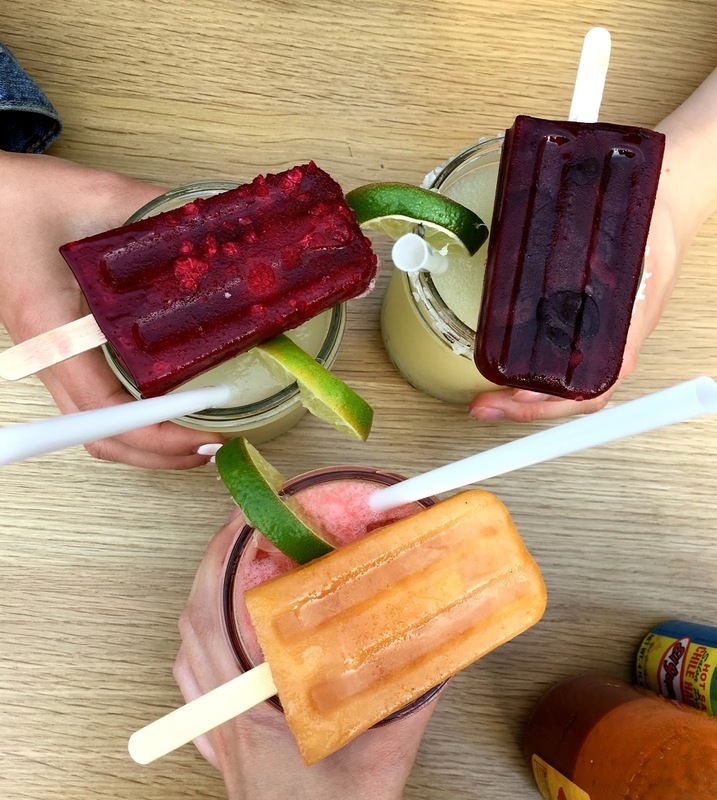 The Mexican pops look deliciously refreshing as well! This looks like an amazing place. 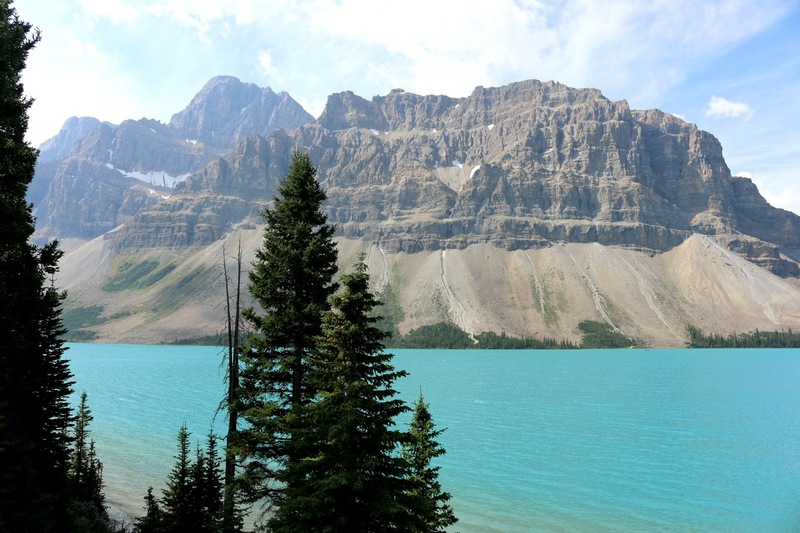 I've been to Toronto, but never to the Canadian Rockies and I'm sure it would be a wonderful trip. I've been to Canada but never to Alberta. Looks like you and your cousin had a blast. Love your pictures. Oh my gosh, look at that water. What an amazing area. I've never been to Canada, but I hope I can go here someday. It looks beautiful. We have had two different couple we know that have driven through Canada on their way to Alaska. They said it was very beautiful and reminds them of Alaska. Okay, I need to go there! 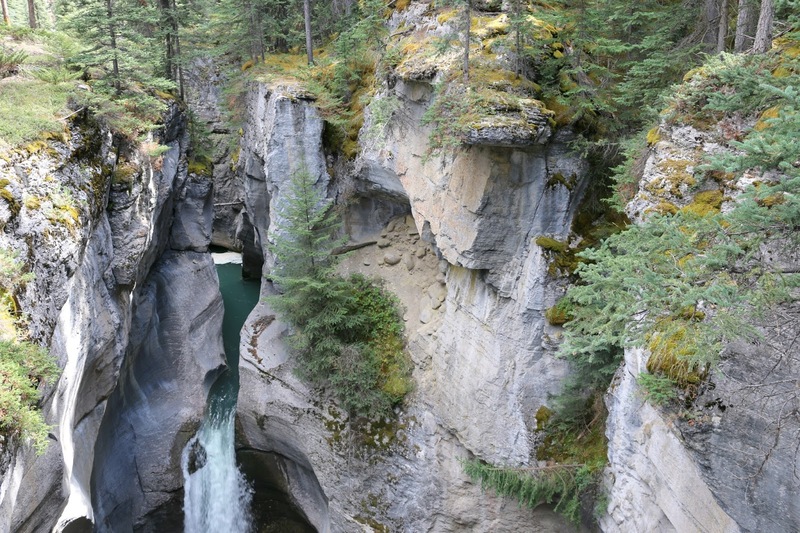 My best friend lives in Edmonton AB right now and I need to get him to take me to this beautiful part of the province before he moves away. This is what dreams are made of. That water looks so blue next to those tall mountains. Lovely. Looks like an amazing trip. You got so many great photos of the scenery and it sounds like you ate well. Those are gorgeous pictures of Canada I'm going to show it to my daughter. She's only six and just yesterday she was asking if she could fly to Canada because she heard it was pretty. These are all beautiful photos. 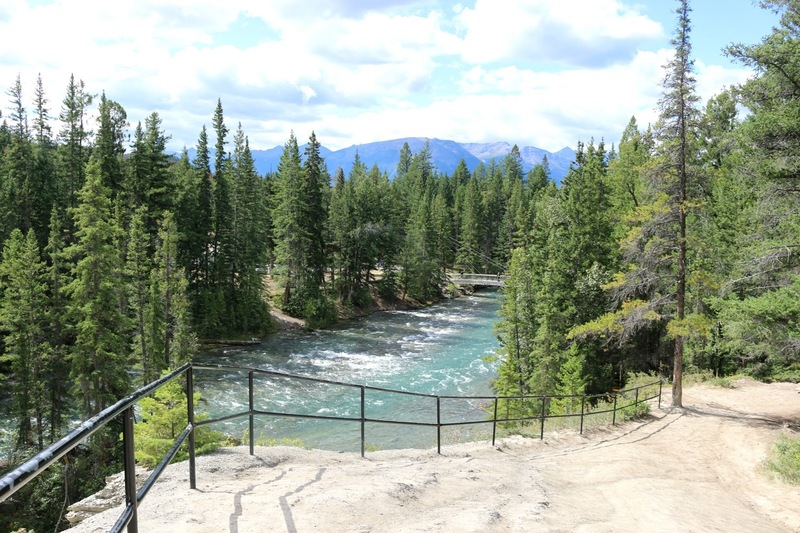 One of my favorite places I have ever been to was Banff. the mountains were unreal. I have only been to Canada once. It is just breath taking. I loved all your photos! Wow. The scenery there is unreal! If you weren't standing in the pictures, I would think they were stock photos for a vacation site! It looks like you thoroughly enjoyed your time too! I love your photos! 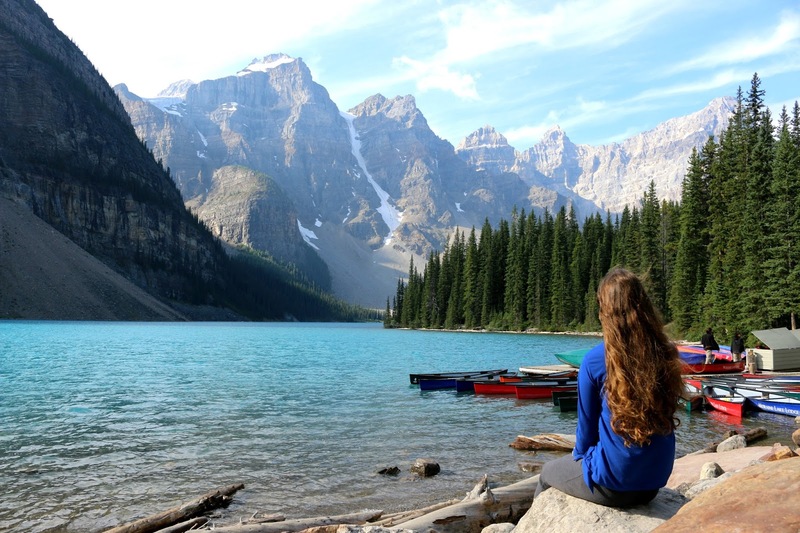 My dream is to take a Canadian cross country trip! Those views are stunning. This needs to be a place that I need to visit. I'm in awe of the beautiful landscape. When I had the opportunity to visit Canada it was always the cities. I would love to go back and see this. This is so so awesome! I am currently planning a trip to Alberta for my husband and I! 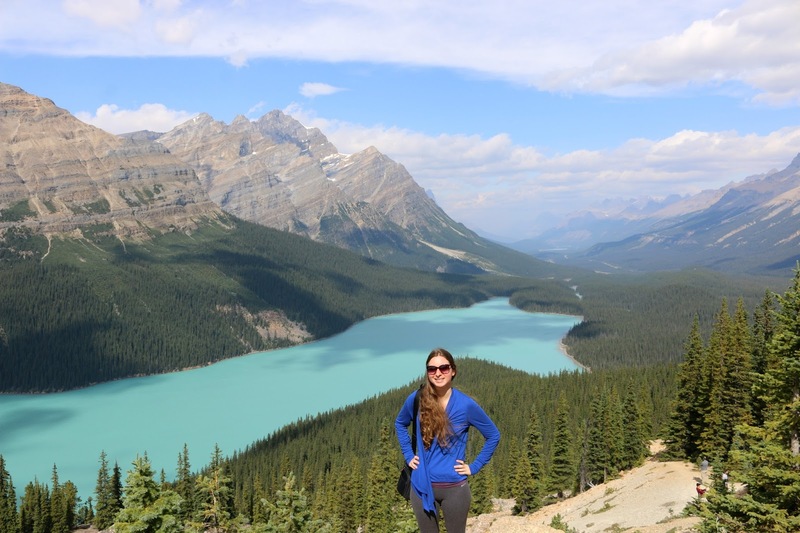 I would take any suggestions on where to stay close to Lake Moraine or Peyto Lake! OMG your pictures are absolutely stunning. 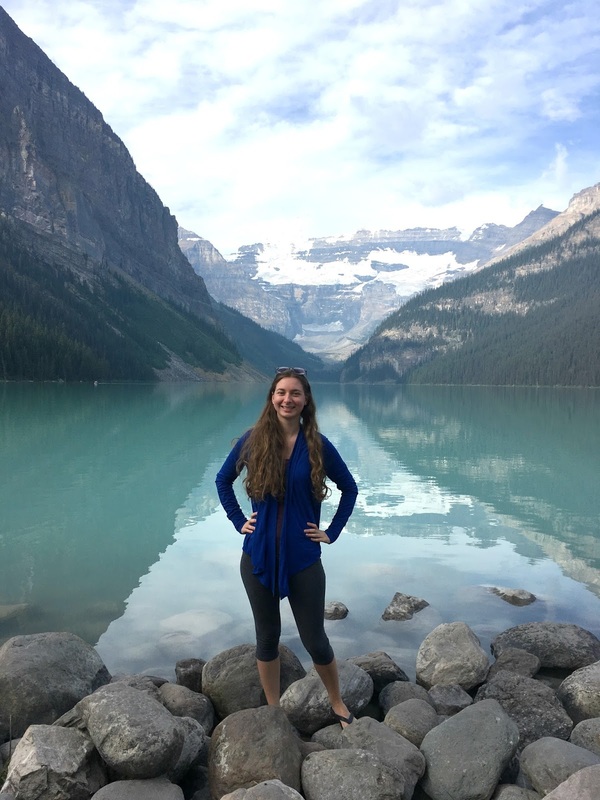 Lake Louise looks amazing. Looks like you had a nice little trip for sure. I've been wanting to travel to Canada for quite some time now. My husband and I have several Canadian friends that are our fellow neighbors at our second home in Puerto Vallarta, Mexico. My parents took my daughters to Canada several years back, and they still talk about the beautiful details of that special vacation. Girl your photos are AWESOME!!!! I mean this nature is really photogenic but you did a great job capturing it! And that baby squirrel is to die for! Some lovely scenes with so much excitement that tell me you guys enjoyed every bit of the road trip. All I can say is that place looks absolutely beautiful! Wish I could go there someday, everywhere you look is picture perfect and being surrounded by nature sure is relaxing for me. I can tell by your photos that you had an amazing time! I would kill to see any of those sights in person! Wow, that place looks absolutely wonderful! You sure enjoyed every moment here! Loved your pictures, and that little squirrel OMG, too cute! Looks like an amazing road trip! I love road trip! I did four in New Zealand and it was always so much fun! Alberta sounds absolutely lovely and the food... the food! You really had a great time! The views are breathtaking, to say the least. I am amazed at how nature provides us with such beauty. I would love to visit this place someday. It looks so serene. Perfect place to relax and bask in the beauty of the surroundings. Nice. Really nice. I really need to spend more time exploring Canada! There are so many breathtaking views! Wow. These photos are so gorgeous! The pictures are very nice! I thought it was not real at first and I loved it. Such nice landscapes and if I were there I will definitely take as many pictures as I can. I wish I can visit Alberta soon too! Love all your pictures! The Canadian Rockies are so beautiful. Your stunning pictures bring alive the beauty of the natural landscapes in vivid detail. Wow, amazing views. I have been to Canada but not in Alberta yet. Beautiful photos !!! You captured such nice places in Canada. It looks so incredibly beautiful out there. I knew that Canada would be pretty but it definitely makes me want to go up there in the summer and see all of the amazing sights as well as being able to experience wildlife out there. Such a great trip I Can see. Oh my goodness the pictures of the lakes are beautiful! What a wonderful trip that had to have been! The only trip I have taken was to the Falls and that was breathtaking. Oh, My... Your pictures are amazing! I love the mountains. I need to plan a trip soon. This season is the best to head to the mountains. It looks like you had a wonderful time on your Alberta road trip. I have never been to Alberta but I would love to go some day. The photos are just amazing. Thanks for sharing your fantastic road trip experiences. 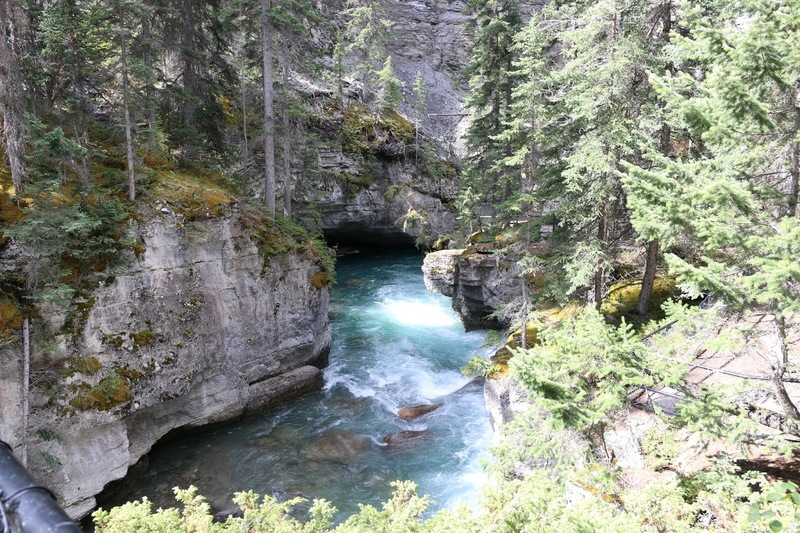 Alberta has been on my travel list for years, but you just narrowed down the specifics for me! GORGEOUS! You look like you had a ball. I loved the Mexican drinks and palettes! 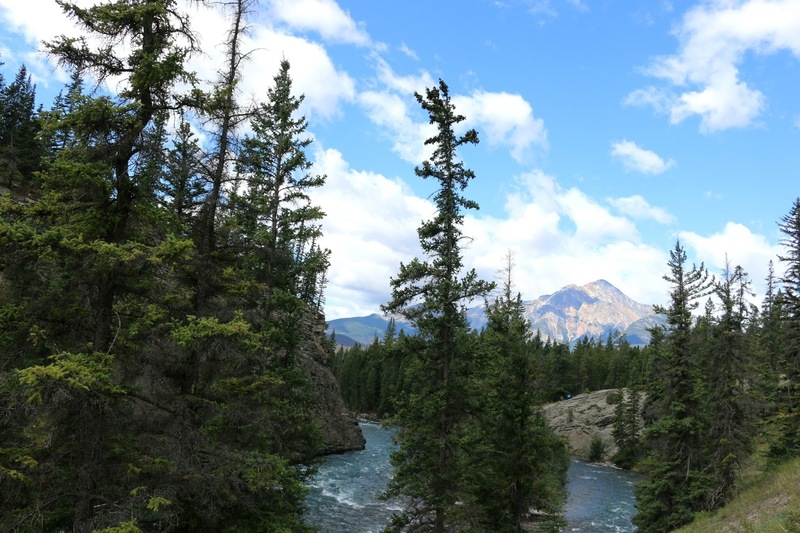 The landscape in the Canadian Rockies is breath taking. I bet this was the trip of a lifetime! I have friends who live in Alberta and they are telling me it's a great place to work there. Given the chance, I will definitely go there. That looks a beautiful place to visit. Nice photos too. Loved the way you described the place. Such beauty out there. Someday I will get the chance to visit and witness these wonders for myself instead of pictures. This looks like heaven. I been to banff once, it was great.